Located close to the city centre, the 4-star Hotel sav is only a 5-minute walk from Wonderful Worlds of Whampoa. It features comfortable guest rooms with free smart phone rental service.Hotel is decorated with chic and colourful decorations, a fitness centre and 2 on-site restaurants. Free WiFi is available in all areas. Hotel Sav is a 10-minute walk from Hung Hom Station (East Rail Line and West Rail Line). The property is only a 5-minute-walk to Whampoa MTR Station Exit B. 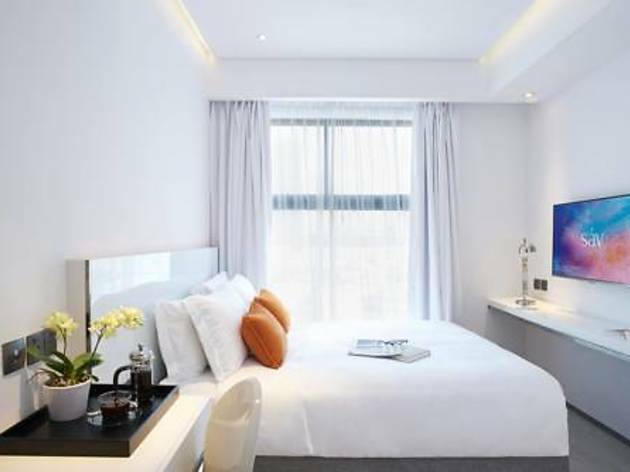 It is an 8-minute drive from Temple Street Night Market, a 10-minute drive from Ladies Market, Tsim Sha Tsui or Harbour City Shopping Mall and a 15-minute drive from Kai Tak Cruise Terminal. Hong Kong International Airport is 45 minutes' drive away. 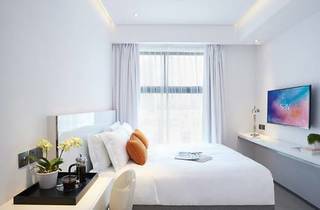 Offering city views, each airy, bright room features modern decor and includes air conditioning and a minibar, plus free smartphone rental service with free local and IDD calls to designated countries and unlimited 3G data plan. Featuring a shower, private bathroom also comes with a hairdryer and free toiletries. Extras include a safety deposit box. Guests can recharge with a workout at the fitness centre. Convenient services including concierge service and currency exchange are all provided upon request.